"To be a woman of faith, we must live a life that actually requires faith." 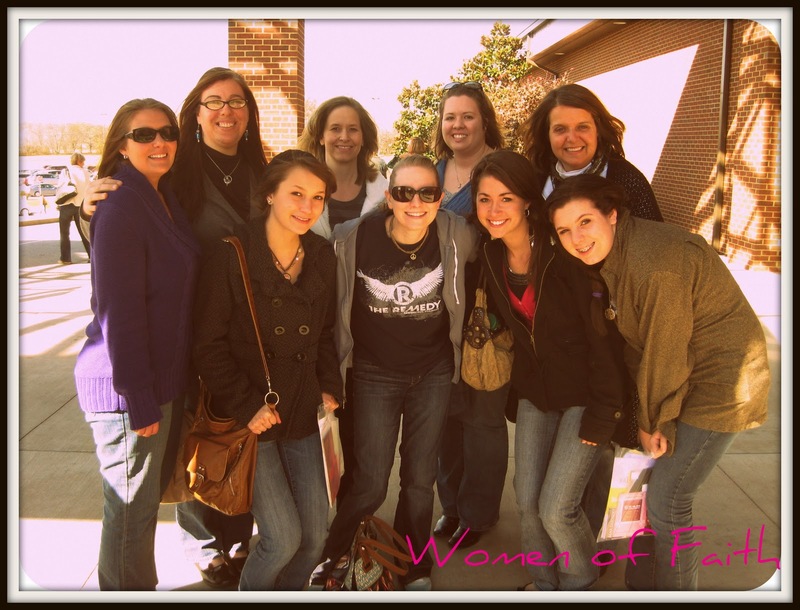 I've been meaning to post about this for a while now...since last weekend when I went with some ladies from my church to the Women of Faith conference. Better late than never though right? First of all, Laura Story was there! I am in love with her new song Blessings. Did you know that she also wrote Indescribable? Anyways, she did a wonderful job leading worship. There are not many things better than a building full of women worshiping God. it can become the greatest message to the world." Yes, I'm a dork and I took notes and now I could preach a sermon on what I learned. Since this is my blog and I make the rules, I very well could! "A religion is where you love God for what He does. A relationship is where you love God for who He is and even when you don't understand, you trust Him because of who He is." "Alarmed, Jehosephat resolved to inquire after the Lord." It may seem like a strange verse, but in context when a battle is about to take place and Jehosephat is emotionally "freaked out", he takes time to inquire after God. Even in the heat of emotion, he had predetermined that his first step was to talk it over with God. We can all learn a lesson from that as it comes so easily for us as women to make emotionally based decisions without praying about it first. "God doesn't often call the qualified. He qualifies those He calls."